Kolkata Knight Riders (KKR) continue to suffer due to injuries ahead of the upcoming season of the Indian Premier League (IPL) with the injury of star South African fast bowler Anrich Nortje. Meanwhile, a shoulder injury has ruled out Nortje from the entire IPL 2019. The Kolkata-based franchise roped in the services of Anrich Nortje at his base price of Rs 20 lakh. Notably, Nortje is the third Knight Riders pacer to sustain an injury. Previously, Shivam Mavi and Kamlesh Nagarkoti – both of the starred in the 2018 U19 World Cup withdrew themselves due to injuries. As a replacement of Mavi and Nagarkoti, Kolkata roped in the service of Sandeep Warrior and KC Cariappa. Warrior, a fast bowler from Kerala, had an outstanding season in the domestic circuit. He also impressed during the Syed Mushtaq Ali Tournament while Cariappa is a known commodity in the league. Emerging as a mystery spinner, KC Cariappa has played for Kings XI Punjab in earlier seasons. Anrich Nortje came to the limelight during last year’s Mzansi Super League. The right-arm claimed eight wickets from three games at an economy of 6.91. Besides, his ability to bowl at an express speed caught the eye of KKR despite the 25-year-old sitting on the sidelines during the IPL auction with an ankle injury. 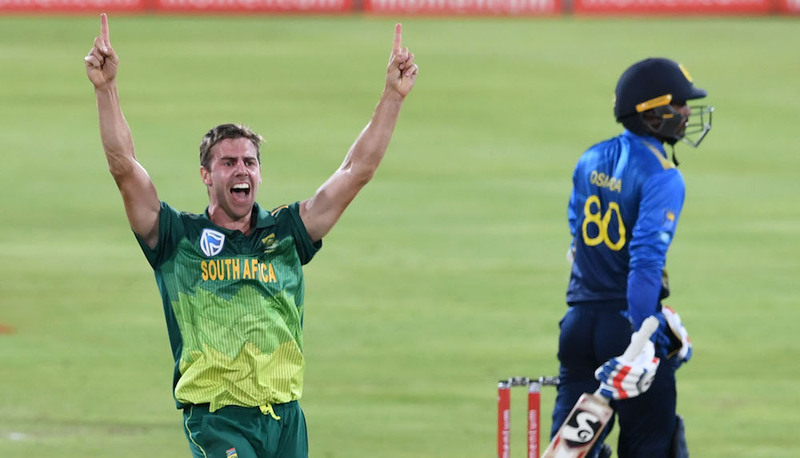 Recently, Nortje made his international debut for South Africa in the series against Sri Lanka. Anrich Nortje returned with eight wickets from four games at an impressive average of 18.75. Also, he was in the squad for the three-match T20I series but didn’t take the field in the first outing. Kolkata Knight Riders, who only have 20 members now, will ask for a replacement of the injured pacer. Nortje took to Twitter to inform the news to his fans and followers. He expressed his grief and hoped that KKR will bring the trophy home in IPL 2019. “Unfortunately due to a shoulder injury I’ve had to pull out of the @IPL. I wish @KKRiders all the best and bring the trophy back home!! #KKRHaiTaiyaar” Anrich Nortje tweeted. Kolkata Knight Riders will begin their campaign in the league against Sunrisers Hyderabad on March 24 at the Eden Gardens.